TeamWave supports exporting all the details present in People and Organisations in CSV and XLSX format. 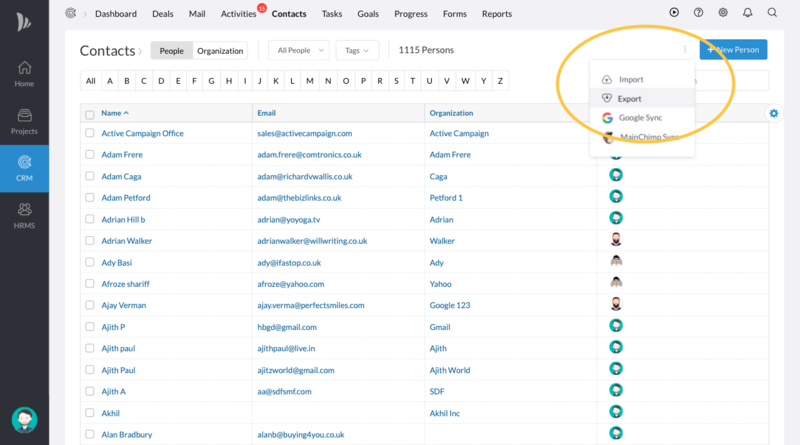 Though you cannot export activities, notes and tasks present in deals and contacts, you can export all the custom fields present in People and Organisations. You can only export Contacts accessible to you. Which means, CRM admins and the account owner can export all the organisation's CRM data, while normal users can only export the data accessible to them. Note: If any Filter is applied, only the results of that filter will be exported.